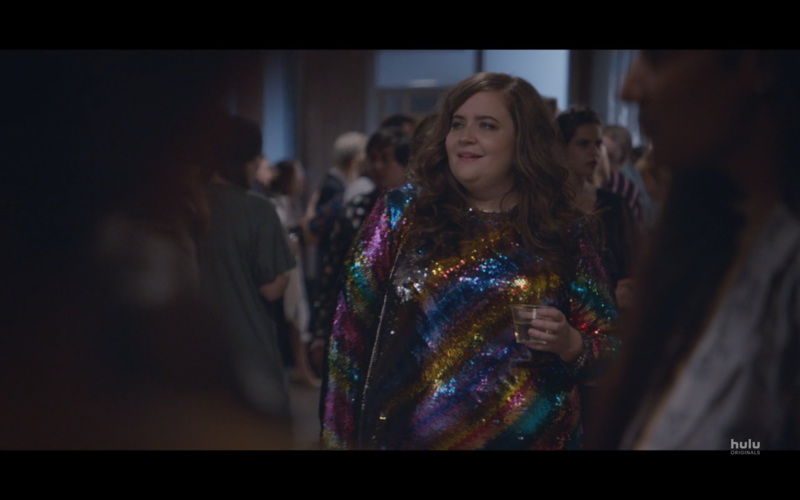 Good morning to Aidy Bryant and Aidy Bryant only. 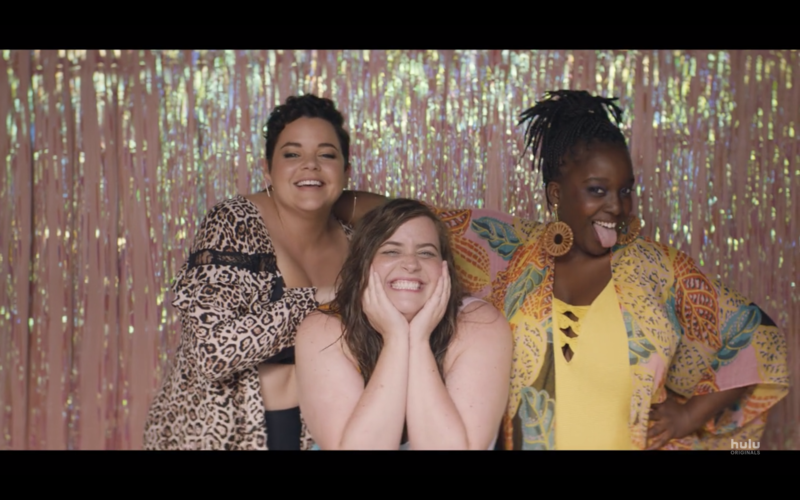 Her character, Annie, on Hulu’s new show Shrill celebrates the complexities of plus-size existence, and we are 300% here for it. 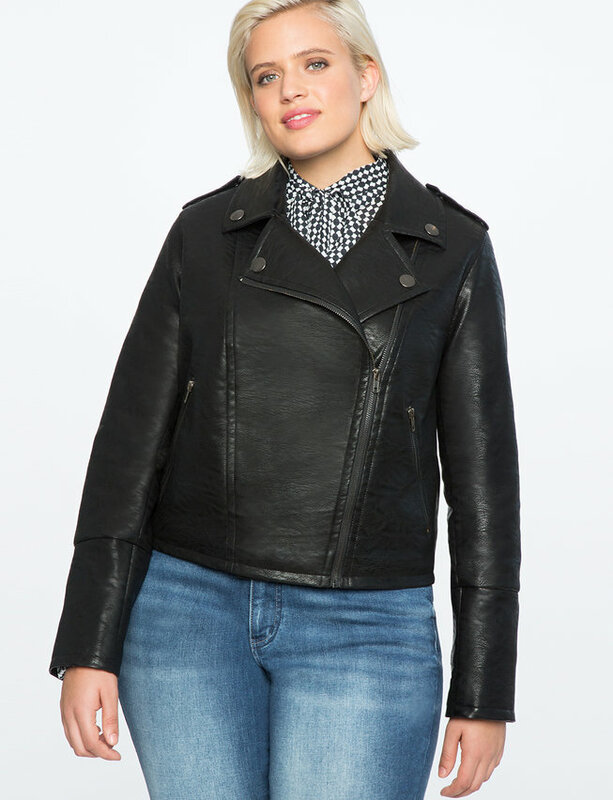 This is the representation that plus-size women across the country have been waiting for. 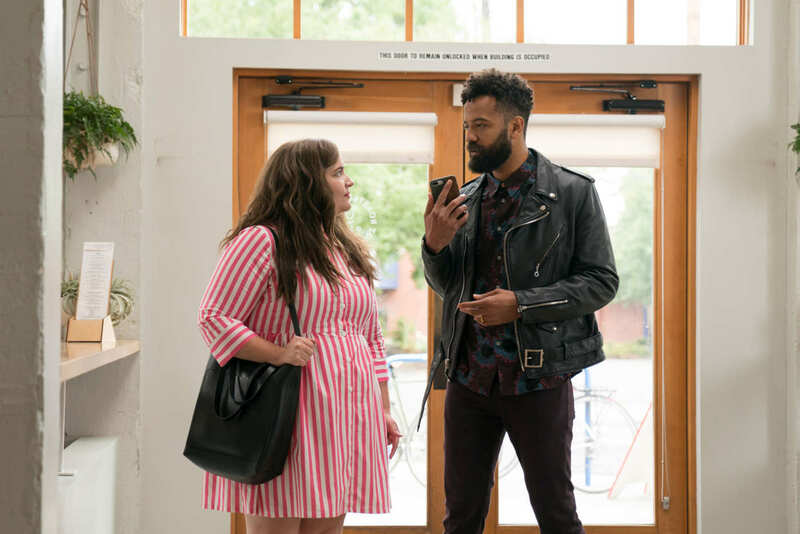 Watching Annie navigate rage, joy, respect, and retribution within a system hellbent on making her feel small and unimportant gives us all the feels. Every curvy character on the show has a wardrobe to match her endless shine. Annie’s playful personality is displayed via feminine dresses and an unabashed love for stripes. Annie’s best friend and roommate, Fran, is equal parts adventurous and no-nonsense, which is reflected in her pairing of casual basics and high-impact statement pieces. 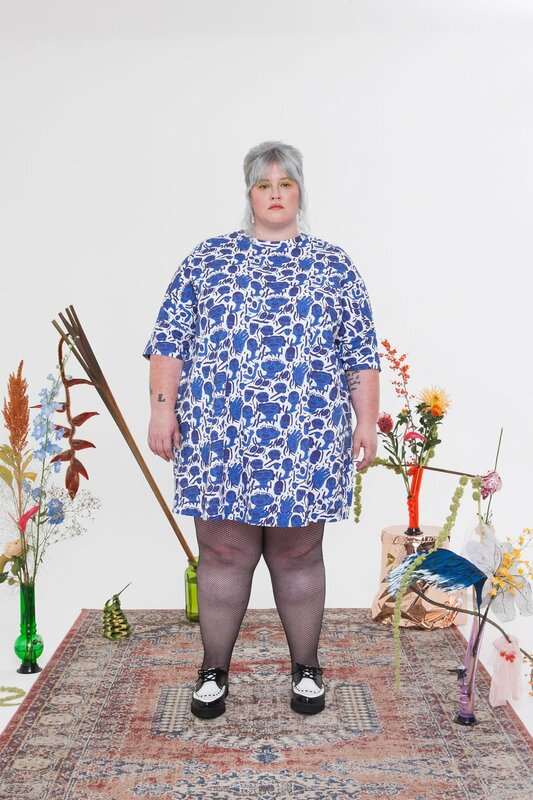 While the outfits on the show are immaculately curated, sadly, the plus-size fashion industry does not reflect the same joy, freedom and complexity. 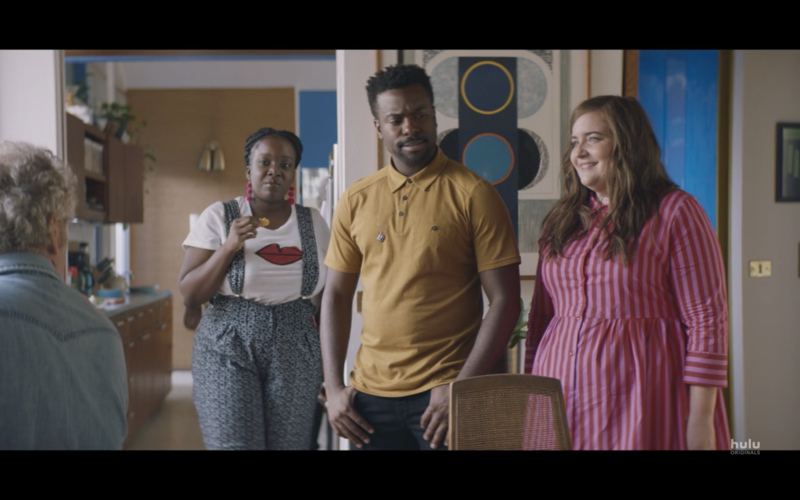 In an interview with Vulture, Shrill‘s costume designer, Amanda Needham, said that her off-the-rack styling options were limited. She shared that most of the pieces on the show are custom-made and existing pieces needed to be tailored. 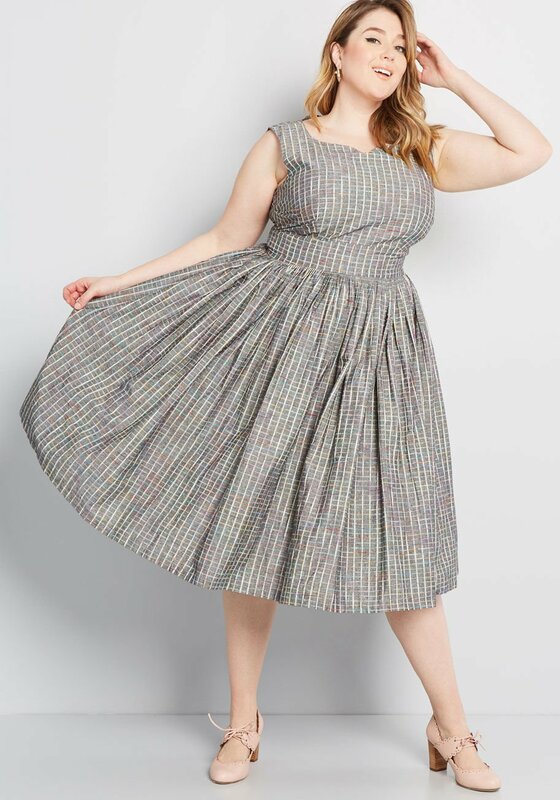 That said, we combed the internet to find you pieces that bring the same high-octane, dress-to-impress energy that Shrill’s best looks gave us. Annie does not spare one single ounce of ferocity in this orange patterned dress. She feels powerful and unstoppable, and it shows. How could someone do Annie dirty in this iconic dress?! 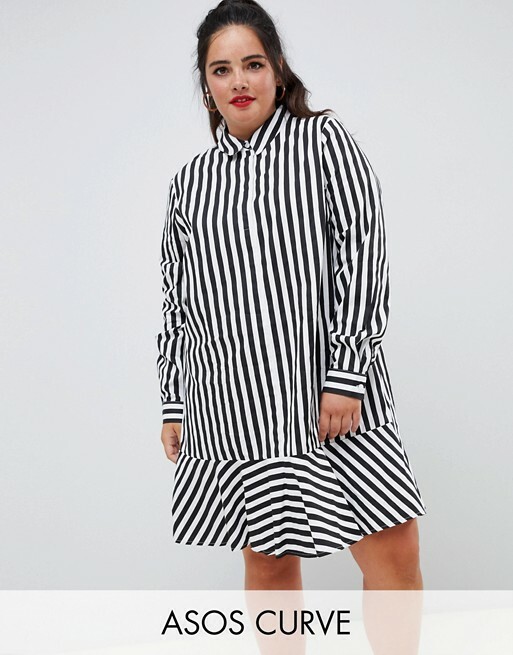 If you’re going to storm over to your maybe-boyfriend’s house to demand an explanation, THIS is the dress to do it in. 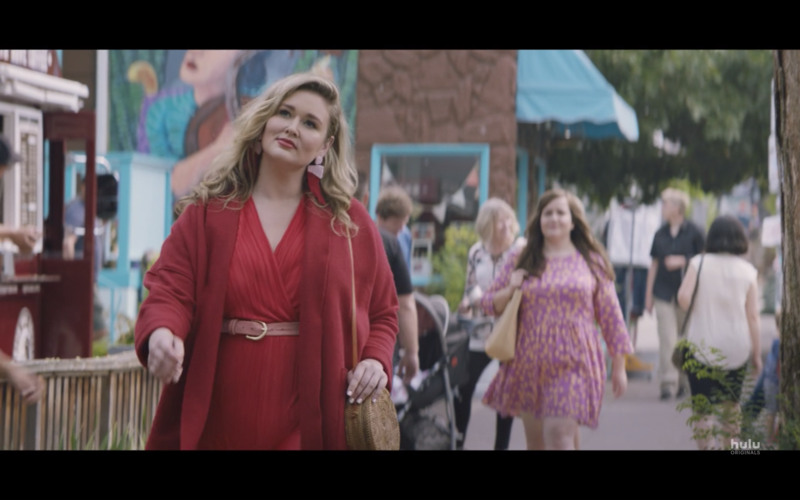 A woman (played by Hunter McGrady) in a head-to-toe red outfit literally stopped Annie in her tracks and empowered her to stop settling for less than what she deserves. Fran and Annie’s styles speak the same dazzling language. Fran’s Keith Haring-inspired printed jumpsuit and Annie’s striped shirtdress are to-die-for in this scene. Annie and Fran could teach a masterclass in best-friend dressing. Annie’s color-blocked one-piece and Fran’s bright yellow swimsuit with a patterned cover-up are divine. Summer can’t come soon enough! The impeccably tailored plaid dresses Annie wears are a true testament to the skill of Shrill’s costume designer. She bravely confronts her boss and her parents in this killer ensemble. Episode 6 is pretty much a tutorial on how to continue to look cute while dragging all of your male oppressors through the mud.